The new Google mobile software roll-out has been delayed for Xperia Z3 and Xperia Z1. The much-awaited Android 5.0 Lollipop OTA (Over-The-Air) update release for Sony's flagship Xperia Z3 might be delayed in select regions. Soon after the official launch of Android Lollipop in mid-October, Sony had announced the release of the new mobile OS to all of its Xperia Z series smartphones starting with Xperia Z3 and Z2 in February. Later, the Australian arm of the network carrier too posted a press release confirming the same. Now, Canadian network carrier Rogers has revealed that the new Google mobile software rollout for Xperia Z3 will only begin in March and the Xperia Z1 owners will have to wait until April to experience the sweet candy-flavoured Android OS, reported Xperia Blog. We believe the delay has to do with bugs found in source codes of Android Lollipop. Tier-1 brands like HTC and Motorola too have faced the same dilemma leading to delay in the rollout process. 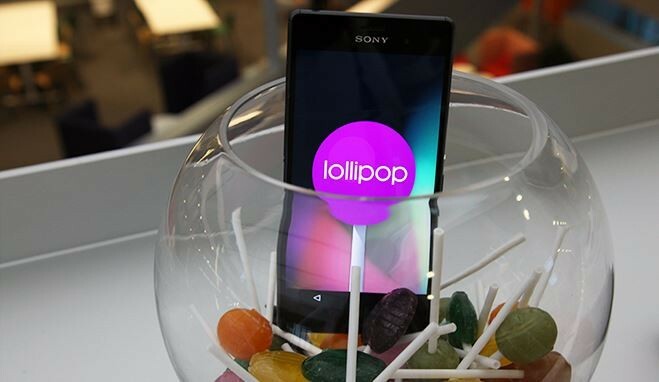 As a part of Lollipop soak test, Sony had begun a pilot programme in joint venture with carrier network Three in Sweden, giving select fans the chance to test drive Xperia Z3 and Xperia Z3 compact devices running the early versions of Android 5.0. After collecting feedback, Sony was expected to roll out the latest Android OS initially to Z3, Z2 and other Z series devices in early 2015. Now it looks like Xperia Z-series owners have to wait a bit longer. Though this news might dishearten Sony fans who have long been waiting for the update, one good thing coming out of this delay is that OS will be bug free. Google's new mobile OS comes with a completely fresh new design language – 'Material Design'- bringing interactive user-interface, lots of animation graphics, replacement of Dalvik with ART as its default runtime which will bring improvement in performance and battery-life enhancements.